Some seniors refuse to hand over their car keys as they grow older. 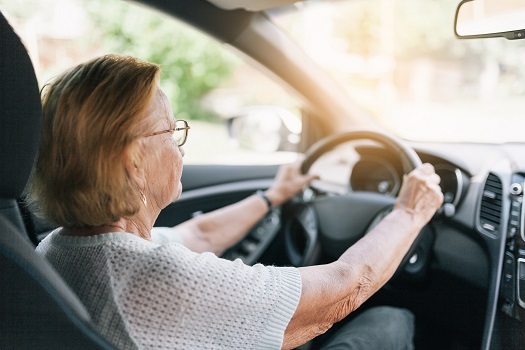 Even after being diagnosed with a serious disorder such as dementia, your aging loved one might want to continue driving for at least a few more years. However, your parent could put people in danger every time he or she gets behind the wheel. Here’s a look at some steps you can take to prevent your loved one from driving after a dementia diagnosis. If you believe your loved one is no longer capable of driving, schedule a driving assessment. Organizations such as the Canadian Automobile Association carry out comprehensive driving tests for old and disabled drivers. Once you have solid proof from a third party that your parent is no longer capable of driving, he or she might consider giving up driving. Seniors who have moderate to advanced dementia should hand over their keys to prevent a life-altering or fatal accident. Living with a serious health condition can make it challenging for seniors to age in place. However, they can maintain a higher quality of life with the help of professional live-in care. Waterloo seniors can benefit from assistance with meal prep, bathing, transportation to the doctor’s office, medication reminders, and much more. Some caregivers need to trick their aging loved ones into not driving. Many different tactics can be used to keep your parent out of the driver’s seat, and you’ll need to come up with a comprehensive plan. In addition to hiding the keys, you can also disable the car so it won’t start. Another tactic involves pretending the car must be taken in for repairs. Whenever your parent asks for the keys, you can gently remind him or her that the car is at an auto shop or repair center. Older adults with dementia often need help with a wide variety of everyday activities. If your senior loved one has been diagnosed with a serious condition and needs help with tasks like meal prep, transportation, bathing, and grooming, reach out to Home Care Assistance, a leading provider of home care Waterloo, ON, families can trust. We also offer comprehensive care for seniors with dementia, Alzheimer’s, and Parkinson’s. One of the most common symptoms of dementia is aggressive behavior, and many older adults become hostile when their caregivers don’t let them carry out everyday tasks like driving. No matter what your loved one says to you, he or she must not be handed the keys. If your parent becomes hostile or angry, try to change the conversation by bringing up another subject. Diverting or redirecting attention is a great tool many professional caregivers use. If your loved one wants to go to the grocery store or a restaurant, ask if he or she would like to make a meal with you or watch television instead. Your loved one may still need to get around at some point, and you can’t always provide transportation. Having multiple transportation options could help your loved one feel as if he or she isn’t trapped at home. Some seniors with dementia love to take trips to their favorite restaurants, theaters, stores, or parks. These locations often spark memories and put older adults at ease. Exposing your loved one to different environments could activate important areas of the brain and boost cognitive health. In addition to family members and friends, you can also contact local senior centers to see if they offer rides to older adults who have cognitive disorders. Even when families have the best intentions, caring for a senior loved one with dementia can be challenging. Fortunately, Home Care Assistance is here to help. We are a leading provider of dementia care. Waterloo families can take advantage of our flexible and customizable care plans, and our caregivers always stay up to date on the latest developments in senior care. To schedule a free in-home consultation, give us a call at (647) 992 0224 today.